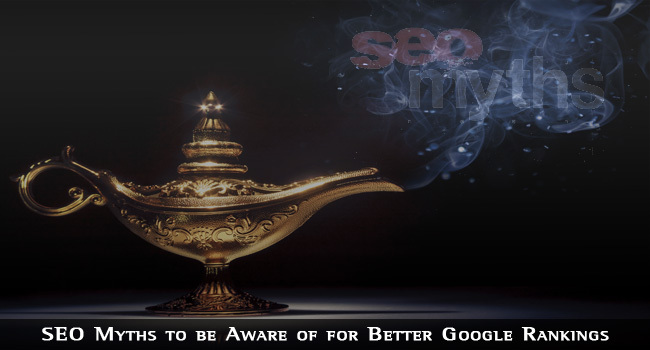 Most SEO myths are the remnants of a bygone era when search engines were easily fooled into giving you better Google rankings and high listing positions on other search engines such as Yahoo, MSN, AltaVista and Ask. SEO is constantly changing and evolving as search engines, particularly Google, introduce new updates to their scanning, indexing and search algorithms. What might have been good SEO two years ago might have a negative effect today. If I had a dollar for every time I have read and heard that SEO is dead I would be a rich man. This is the one SEO myth that, if believed, could set you back badly. SEO is alive and kicking, only it is changing, and has been changing since the term was first used. If we examine the meaning of the term ‘search engine optimization’, it involves optimizing your website, individual web pages and your blog to meet the criteria that a search engine uses to index and rank your web pages or blog posts in its search engine results pages (SERPS). This task will never be dead! It will only change in nature. Let’s use Google as our example of a search engine from here on. Those SEO criteria evolve as Google evolves to provide its users with an increasingly better search experience. Google doesn’t want its clients to find listing after listing all with the same content, filled with nothing but links or pages containing interminable repetitions of the same keywords. It has evolved to take factors such as page authority, popularity in the social media and depth of content into account. Along with this evolution has come the birth of many myths that hark back to an earlier age of SEO. No, SEO is not dead. It is very much alive, only it is changing along with Google, and many of the myths we shall discuss here were very useful techniques at one time – but not now! There was a time when keyword repetition was rewarded by a high ranking. Consider a page full of text such as “Bill’s Boston Restaurant is the best Boston restaurant in Boston. If you are in Boston visit Bill’s Boston Restaurant – you will not find another Boston restaurant like Bill’s Boston Restaurant”. Perhaps a #1 listing in 2004, but a deindexing 10 years later. This is an extreme example of keyword stuffing, but what is the ideal keyword density (KD: the percentage of a keyword relative to the entire word count)? In fact, there is none. Many experts still perpetuate the myth that there is a mythical magic figure, somewhere between 1% and 7%. LSI and Panda have negated this belief. The concept of KD is outdated, and has been since Google introduced its latent semantic indexing (LSI) algorithm. This includes synonyms in its relevance calculation. Also important is the concept of ‘keyword proximity’ that takes the siting of keywords into consideration: above the fold, in the title and so on, so readers get a sight of keywords without the need to stuff them to a specific density. The Panda algorithm update delisted many web pages contain excessive numbers of keywords. The old adage is true: write for the reader and not the machine. Forget keyword density, but use them in the Title tag, H1 headings, at least one H2 heading, in image ‘alt’ attributes and also in the first and final paragraphs. Use them again when it makes sense to do so for the content to be reader-friendly. There was a time when you had to submit your sites to search engines before they would be scanned and indexed. This is no longer necessary and you would just be wasting your time. 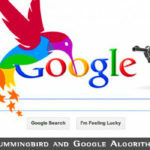 Submitting to search engines neither helps nor hinders Googlebot visits. The easiest way to get all your web pages scanned is first to link them internally, then to generate an XML sitemap. There are free sitemap generators online, or if you have a WordPress blog use the Yoast plugin or XML sitemap plugin. This makes it easier for search engines to scan your entire site. Then place links to your site on authority and high traffic sites. You should also register for Google Webmaster Tools and submit your sitemap there. Many people believe that the objective of SEO is to beat the search engines and get your site to the top regardless. Some look upon SEO as being a slightly distasteful way of gaming Google. This is a myth and total nonsense of course. 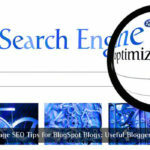 SEO is about cooperating with the search engines and providing them with what they want. That is fundamentally a useful and interesting website or blog for those seeking information, and also to display a degree of popularity with other visitors and website owners. All links do not have the same value – at least not anymore. Google considers the domain authority of the page publishing your link, the relevancy of that page to yours, the siting of the link on the page and other factors are all considered when assigning a weighting to the link. 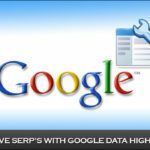 The activation of the Google Panda algorithm update also looked at the value of the website publishing your link. Your page can now suffer if you have links from what are known as content farms or if you have purchased lots of links. Google’s most likely action will be to ignore those links in your domain or page authority calculation and that page is likely to be dropped down in the rankings if you have lots of such links. By how far will depend on other ranking factors, but a Page #1 ranking could easily drop one or more pages. Your website will not be deindexed, however, unless Google believes you have been systematically purchasing links or using software to generate low-quality links. The Penguin update now takes the anchor text used in your backlink into account. Penguin might drop your ranking if you use the same anchor text for all links. Mix the anchor text for incoming and outgoing links between about 5-10% main keyword, 20-25% naked URL (use with and without www version of your URL) and 15-20% site name or branding and remaining % for LSI keywords. Many people are under the impression that a website or blog will be deindexed or banned if it contains duplicate content. While it is true that such pages will not be listed and it could affect the overall ranking of individual pages within your site, the entire site will not be deindexed. It might be listed under ‘Supplementary’ but that is not deindexing. Check out the Google Webmaster tools for information on canonical content. Do not rely on the robots.txt file: remove unnecessary duplication and use the canonical content attribute on the rest. SEE ALSO: Google Deindexed My Site: Reasons and Recovery Solutions. Links are important for search engines and therefore you should understand how valuable the links are to Google and to other search engines. There is the myth that your ranking will improve if you interlink all your web pages to each other. In fact, you should design your internal links to pass most link juice to the pages you want ranked highest. This video from Yoast will help you understand how many links per page you should have. There a myth that Google does not follow links including the Nofollow attribute. Matt Cutts, Google’s webspam chief, devised this attribute. This does not mean that Googlebot will not follow the link and scan that page. In fact, of the four main search engines, only Ask does not follow the link. Yahoo follows it, and will index the page linked to but not rank it. While Bing and Google also follow it, they do not rank the page linked to nor do they index it. They will, however, follow links from that page. This is another SEO myth. Google takes the same share as would have been allotted and simply evaporates it. So the linking juice you pass through other links on the page is still reduced, but the receiving page does not gain it. Internal Nofollow links are not SEO, since they do not in any way affect your page’s ranking. It is quite commonly believed that those that use Google’s Adwords PPC service automatically receive a higher search engine ranking. This is highly unlikely. Along with Bing and Yahoo, Google has barriers separating the two sides of the search organization: paid adverts and organic search. Google claims there is no connection, and there has been no proof of this. Until there is, this will remain a myth. Be careful, because your SEO expert can claim to have legally met the claim by showing a page on you site ranking at #1 for a search term such “How my cat called Mike can be trained to fight pit bulls.” Maybe not so extreme, but you get the idea. You certainly won’t get a #1 raking for a search term that people use. In fact content is not everything. Content is a large part of the royal family, but there are many other aspects of SEO that can help you get better Google rankings. Content alone will not get you better rankings, and might not even get your website or blog indexed. Never focus on content at the expense of the other onsite and offsite SEO techniques you can use to provide a searcher with a good experience when they visit your page – remember, Google lists pages, not domains. There was a time when this might have been true, but not now. There have been two recent algorithm updates: Penguin and the Exact Match update. These have reduced the weighting provided to exact match and keyword rich domain names. Sites ranked because of this have dropped severely in Google’s SERPS, although most high quality sites have generally maintained their ranking positions. A keyword-rich domain name is no longer best. You should go for one containing your brand name, because Google is now focusing on branding rather than keywords. Thus Penguin’s focus on punishing keyword-rich anchor text and rewarding those sites using URLs and brand names as anchor text in their links. TechLila does not need a keyword-rich domain name to rank highly on Google! All the better, however, if your brand is also your target keyword. If there are issues with browser usability, then yes, the HTML code should meet the needs of the doctype declared, but this is not an SEO issue. While Google likes changing content, it is not necessary to update your website or blog content every day, or even every week. It is the content that is important, not how often it is updated. If you replace a good, informative page with one of poorer quality you will be liable to be punished, not rewarded. By all means, make a new post two or three times a week, but they must be of high quality and informative. The frequency of changing your content is a very small aspect of the overall SEO scene, and relevance scores much more than frequency. Weekly or monthly updates to a blog or website can score better than daily updates depending on their quality and usefulness to your readers. The Title tag and Meta description tag sometimes appear in the snippet shown on the Google search results, but not always. If Google thinks that your title or description tag is not particularly relevant to your page content, it might change the snippet to something else. Perhaps this will be taken from the page, or perhaps even from the DMOZ directory. Although some people still believe that they must complete this keyword Meta tag, most people are aware of its pointlessness by now. Google does not use the Keyword tag, and neither does any other important search engine. It doesn’t harm you, but neither does it help you. SEO is about building a good website that others will regard as an authority on the subject as defined by the search term used by those using that search engine. There is no ‘gaming’ or trying to ‘beat’ anything. Except maybe your competitors! These are just 18 of the numerous SEO myths going around at the moment. If you want to achieve better Google rankings, then you should avoid these, and act on any you are currently employing yourself. Perhaps there was a day when a specific myth was true, or perhaps not. The point is, none of these apply anymore and that is what is important. Hey! I have been following your post for a while now and you always come with new ideas and great information. Thanks, a lot!